We can help you write your ad, email us. Only $45 per month, per Ad- Includes: 100 word Description, Phone, Email and Photo! Banner Ad $150 per month. 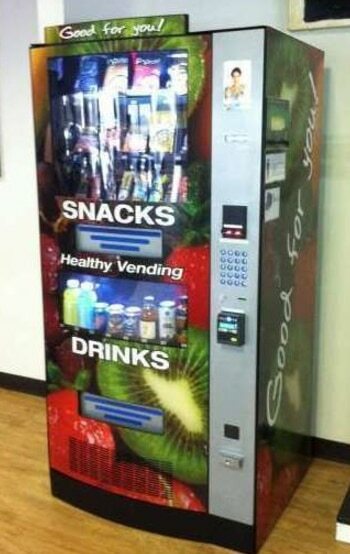 5 BRAND NEW HEALTHY VENDING MACHINES FOR SALE. (2 machines with entrée as pictured). HealthyYou Brand: 3 Machines-Model HY2100 and 2 Machines-Model HMT9000 (with entrée). Bought NEW in Nov 2018, EXCELLENT CONDITION! Bought NEW for 7K each. Asking only $3,000 each, plus 1000 for entree- $19,000 BUYS ALL FIVE MACHINES!!! MUST SELL, MAKE OFFER TODAY. Pick up in Framingham, MA. 01701. Some work some do not all have Validators and Coin Mechs. 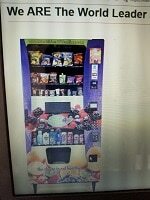 5 LARGE CAPACITY REFURBISHED COMBO VENDING MACHINES FOR SALE!! These machines are in perfect working order. AirVend remote units included. They are wrapped with a beautiful healthy theme. Dimensions: Height – 73.5″, Width – 34″ (50″ w/ entree unit), Deep – 28.5″, Weight – 550 lbs 750 lbs w/entree unit. Capacity: Will hold 217 snacks and up to 168 drinks. 11 choices of bagged items, 9 choices of bars, 8 choices of drinks, 18 choices of microwaveable entrees. Machines are less than 2 years old, was new when purchased. Will sell as lot or individually. Will deliver locally. Will ship within US. Will warranty for 90 days. 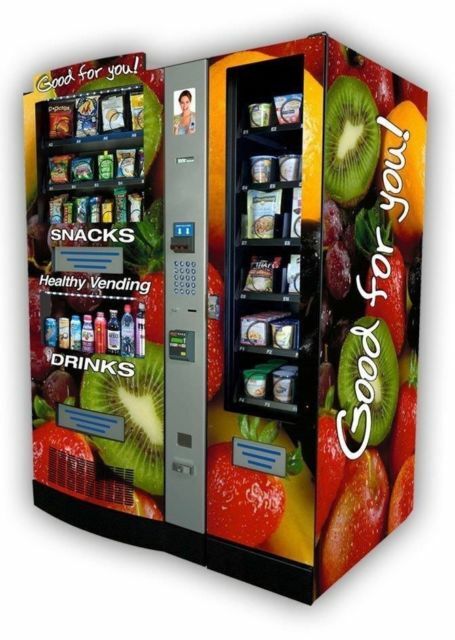 Five Healthy You vending machines for sale in Roanoke, Virginia. All in excellent used condition. Also have one entree unit. Asking ONLY $2400 for each unit and $1800 for the entree unit. Originally paid $7k each, brand new. Pick up is in Roanoke, VA. Brand new Healthy You Vending Machine. Great opportunity to get into the ever growing healthy food business. This never use before vending machine comes with striking design engineered to attract more people of more age groups. 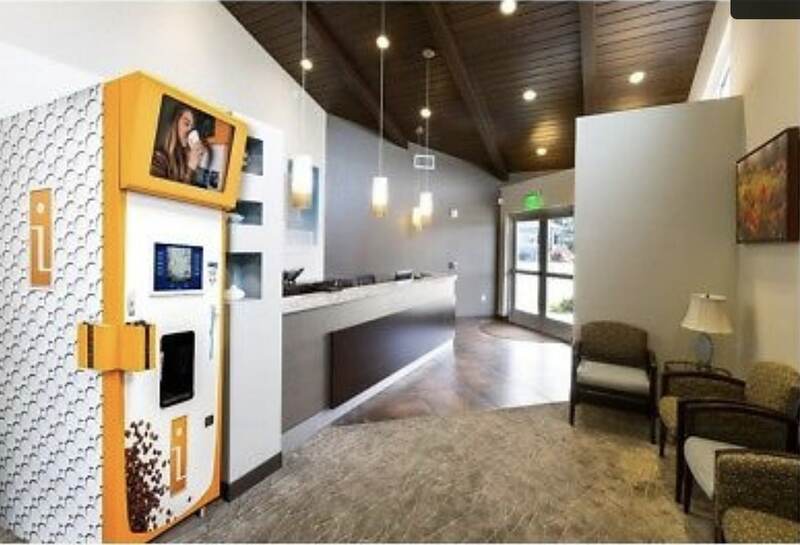 The machine holds a approximate capacity of up to 337 Healthy Snacks and Drinks Payment Technology: they can pay for their purchases with a simple tap of their smartphone-including Apple Pay, Google Walle as well with debit or credit cards and cash. Specs: Height 72”, Width 36”, Depth 30”, Weight 590 lbs. 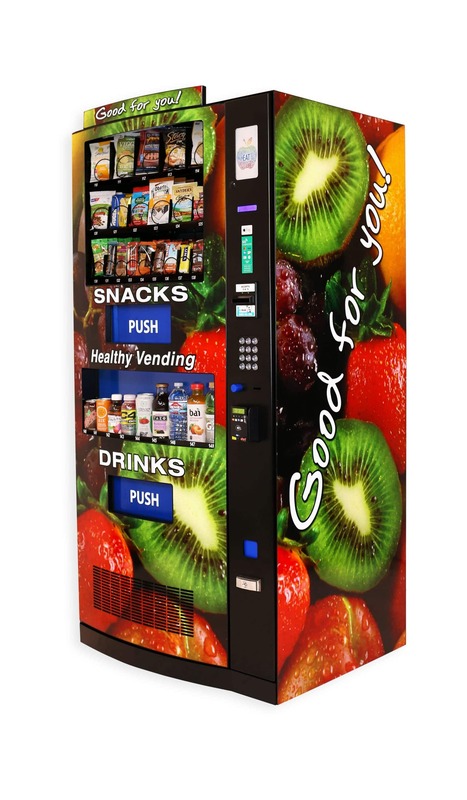 H4u Healthy Vending Machines Feature: Machine dimensions: 77″ tall, 35″ wide, 34″ deep. 350 Total Item Capacity – 20 Snack Items & 9 Beverages! The largest selection and capacity of beverages in Healthy Vending. The Only Healthy Vending Machine with 9 Beverages 136 total drinks and high capacity 16oz and 12oz Can Dispensers- Functional Volume! H4U Healthy Vending Machines are ADA Compliant (American Disabilities Act) – accessible built-in point-of-sale and food/drink dispensers. Cashless Payment Options including Debit/Credit and Apple Pay and Google Pay. 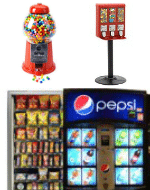 Machine can be Programmed to vend only certain hours – Great For Schools. Infrared Vend Sensing Technology offering the best in delivery assurance. A Guaranteed vend every time. I do have 4-5 Coffee vending machines brand new for sale. Kindly reach me out for more details, (904) 705-7499. 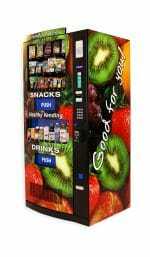 FOR SALE 6 brand new never used excellent condition N2G5000 HEALTHY SNACK and BEVERAGE machines. Due to personal reasons I am unable to place these machines and must sell. They all are equipped with the latest AIRVEND Technology and are manufactured by SEAGA in the USA. Asking ONLY $1,950.00/machine. For further information please call 208-261-1512 or email mjm0102@aol.com. 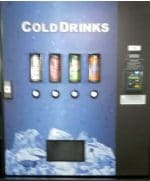 Beverage Vending Corporation – entire business for sale; (price reduction; was $25,000) NOW $16,000!! Business can be moved to any location. Price includes 10 machines (8 new/2 used), 2 specialized cabinets, equipment trolley, advertising/training materials and shipping. Scalable to fit personal needs (start small; grow as large as desired). Machines are portable (fit in the back of a van/SUV); operate on a wireless basis enabling monitoring from any phone, laptop, etc. from any location. The units are sleek & can fit into any space (offices, showrooms, service departments, lobbies, etc.). Call 978-399-4326 for more information. FOR SALE Six CUMMINS 4601 with security doors and printer. And Six DELARUE Mach9 with security doors and printer. Both are in very condition and we can pack for shipping. 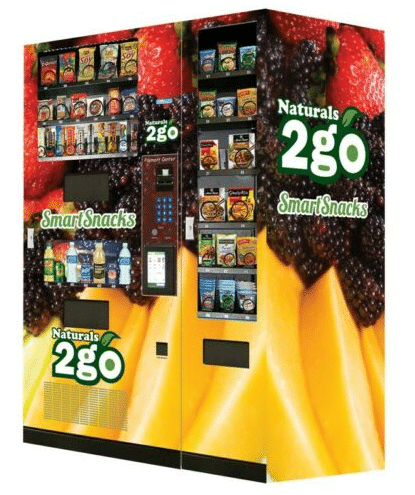 5 NATURALS 2GO HEALTHY VENDING MACHINES FOR SALE MASSACHUSETTS!!! One Machine (with side Entree) is on location in Massachusetts. 4 of the N2G Machines can be picked up or shipped. All machines less that a year old. Brand new!! The machines have AirVend technology on them. 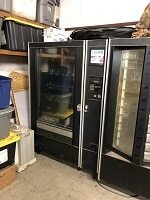 Healthy food vending machine in excellent condition, like new, only 3 months from original purchase. Includes card reader with warranty and machine lifetime tech support. Asking only $4500. California 90026. SOLD!! All Star Locators provides vending operators with a 30 day guarantee on the quality of the locations that they provide, which gives the vending operators the proper structure they need to build a successful business. We are based in Hollywood,CA with 10 sales people on the phone 6 days a week at our call center, with the best phone talent in the country. All Star Locators provides locations for all types of vending equipment as well as all types of merchandise/display distribution. Call 1-310-918-6584 Visit our website All Star Locations. 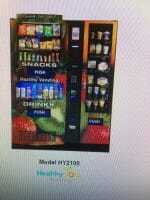 I have 2 HY-900 vending machine from Healthy You for sale. One was used for 2 weeks ($2750) and one that was used for 4 months ($2250). Both machines are in great shape. I also have two machines and one side entree’ that are placed in one building in Overland Park, KS. They produce over $7000 a year, I would like $8000 for the business and three machines. I will sell the two used machines separate, the machines in Overland Park are being sold together. Sales in Overland Park could be better with a little more effort! SOLD!!!. Never before used VOCE Media top of the line Coffee Vending machine. Since this machine can be customized, the color is mainly orange. This will need specialized delivery. Any Questions at all please let me know. This machine does not grind whole beans! *Will consider shipping cost once locations and drop off is confirmed! FOR SALE: 2 used Equitrac Pay Stations in like new condition with bases and keys. Units were in working condition at time they were removed from service and placed into storage. They are located in Everett, WA 98204. FOR SALE: Royal 376 Pepsi Can Soda Vending Machine by Royal Vendors VE2064. Call 704-240-2366. Only $45 per month, per Ad– Includes: 100 word Description, Phone, Email and Photo! Banner Ad is $150 per month. QUESTIONS? Call us at 1-800-956-8363 – POST YOUR AD! “The vending machines have been sold. Please update the ad and my account. Thank you!” –Crystalyn T.
“All the machines are sold. Please take the add off your website. People are still contacting me. Thanks for your help!” —Joseph M.
“I placed my machines on location for sale listing on Vendingconnection.com “Routes for sale” page and they sold! The customer service helped me write the ad and it was on the web the next day! We did receive great service.” — Tom C.
“The Arena Group, with your help, has sold the 50 BULK vending Machines in Michigan. Please place that on the website.” —Brian B.